The original Nevil Shute page was established as a separate page on a web site operated by James Dawe in Alberta, Canada in the mid 1990s. James maintained the page on his web site until early 1997 when, due to health reasons, he was unable to continue. Prior to discontinuing his web site, James had met John Henry through an Internet Nevil Shute book club, and he gave John permission to take over the Nevil Shute web page. John placed the page on his own web site and maintained it from July 1997 until mid 2000. During that time, John enlarged the page with such additions as the complete text of Julian Smith's Nevil Shute biography, several of Nevil's unpublished manuscripts, book reviews, and other items of interest to Shutists everywhere. In late 2000, due to other pressures, John had to forego active participation in the Nevil Shute web page, and the page became dormant. After OZ2001, Jack Calaway suggested that the Nevil Shute web page be reactivated and made into a full blown web site. 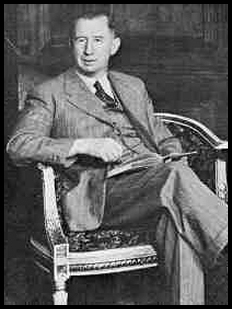 He volunteered to take over the effort; John Henry graciously agreed to transfer the fruits of his labours to Jack; and the present Nevil Shute Norway Foundation Web Site was born. Beginning in mid 2001, Jack built the Nevil Shute Norway Web Site into the vibrant entity it has become. He expanded the site dramatically, adding features such as the Aviation, Resources, Favourite Books, NSN Characters and Timeline sections, the Photo Album, links to related sites and, and more recently the Discussion Board. Subsequently, in about 2004, Oren Wolfe took over the responsibility for the website from Jack until October 2007 when it was handed over to David Dawson-Taylor, a Board member of the Foundation. David handed the website over to John Anderson, our President, in October 2015. The Directors of the Nevil Shute Norway Foundation acknowledge their debt to James Dawe, John Henry, Jack Calaway, Oren Wolfe and David Dawson-Taylor, without whose efforts the present web site would not have been possible.